The American Motorcyclist Association recently issued a bulletin stating that a federal task force from the Centers for Disease Control and Prevention (CDC) is poised to recommend a nationwide mandatory helmet law. True to form, the AMA is opposed to the recommendation. Citing the organization’s official party line, AMA Vice President for Government Relations Wayne Allard said that while the AMA strongly advocates helmet use, the organization believes that motorcyclists should have the right to choose whether or not they wear a helmet. The AMA press release goes on to refute the CDC task force’s claim (one that is backed up by the GAO, we might add) that there could be a meaningful economic benefit from drafting mandatory motorcycle helmet laws, citing that helmets do not prevent motorcycle crashes, that fatalities from motorcycle crashes are too few in number, and that their reduction would have no meaningful impact on the economy. The AMA then also reiterated one of its main talking points, that the best way to reduce rider fatalities is to not crash in the first place, and thus programs in rider safety and training should be the focus of the government, not a mandatory helmet initiative. Honestly though, it is about time that the AMA, and we as motorcyclists, got a bit more honest and real about motorcycle safety, and stopped capitulating to a vocal group of libertarian riders who see riding without a helmet as an integral part of motorcycling culture. The fact of the matter, and what is at the heart of this debate, is that you cannot prevent all motorcycle crashes, even with the best rider/drive training programs possible. 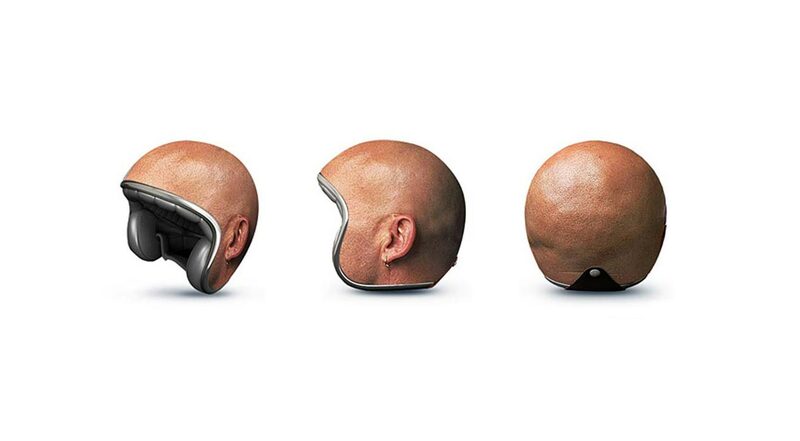 Motorcycles will crash, and riders need to be protected. Full stop. For all the talk about how “it’s not if, it’s when” that motorcyclists use about crashing, you would think that helmet laws would be embraced by an organization like the AMA. The AMA knows of course that wearing a helmet is in the best interest of everyone, and even “recommends” that riders wear a helmet in its official stance on the subject, but because the organization’s base constituency is the same riders who view helmet laws as yet another government intrusion, and who hold their choice in the matter as a fundamental right, the AMA blinks on doing anything actually for motorcyclist. Because of that, I like to think of these riders as motorcycling’s Tea Party. You see, free speech is a right, due process is a right, and to be secure at all times in your person, place, and things is a right, but to claim that wearing a motorcycle helmet falls under the same umbrella as these ideals just cheapens the word freedom, which quite frankly gets thrown around far too liberally in these conversations. If you want to argue that the government shouldn’t regulate helmet use on a nation level, I can understand that. The state’s rights issue is valid point, not one I share, but a valid argument that can be earnestly made in relation to how it an actual right. Remember, driving on a public roadway is a privilege, not a right — a very important legal and philosophical distinction that far too many people fail to grasp. Unfortunately we as a country have declared too many things as “our right” when someone comes along and tells us we can’t do it. Society is made up of rules and regulations, the AMA and other groups are just going to have to get over that reality, and start picking better battles to fight. The more and more that motorcycling latches onto these fringe groups, the further this industry will struggle in growth and acceptance. We can already see the AMA losing the support of motorcyclists whole live in the mainstream, and if the organization wants to have any sort of real efficacy in representing all motorcyclists in American government, it should concern itself with initiatives that represent the views and thoughts of all riders. To that end, the AMA should start promoting laws and regulations that help grow this interest, support this industry, and improve this thing called motorcycling for everyone. How about we start with lane-splitting?